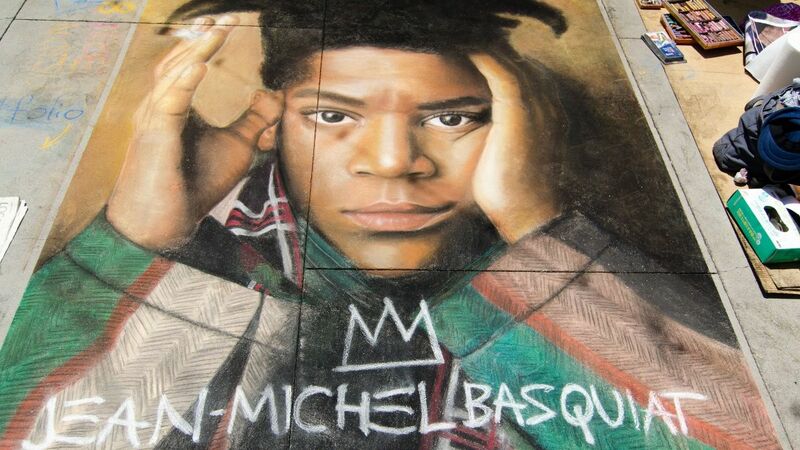 Despite his work's "unstudied" appearance, Basquiat very skillfully and purposefully brought together in his art a host of disparate traditions, practices, and styles to create a unique kind of visual collage, one deriving, in part, from his urban origins, and in another a more distant, African-Caribbean heritage. 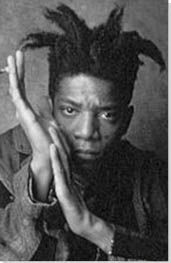 For some critics, Basquiat's swift rise to fame and equally swift and tragic death by drug overdose epitomizes and personifies the overly commercial, hyped up international art scene of the mid 1980s, a cultural phenomenon that for many observers was symptomatic of the largely artificial bubble economy of the era. Basquiat's work is an example of how American artists of the 1980s could reintroduce the human figure in their work after the wide success of Minimalism and Conceptualism, thus establishing a dialogue with the more distant tradition of 1950s Abstract Expressionism. In just a few years, Basquait became a star. He is revered to this day, as can be seen in this recreation of his famous portrait. Photo from the Pasadena Chalk Festival (2013). "I wanted to be a star, not a gallery mascot" he said, and ultimately his life echos this rise and struggle, and gives insight into the unique origins and direction in his art. Interactive chart with Jean-Michel Basquiat's main influences, and the people and ideas that the artist influenced in turn.